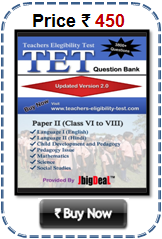 TET Exam Download Teacher Eligibility Test (TET) Exam 2019 When TET exam will be held on TET Paper I Exam Date and TET Paper II Exam Date 2019. The appropriate Government should conduct a TET at least once every year. The Validity Period of TET qualifying certificate for appointment will be decided by the appropriate Government subject to a maximum of seven years for all categories. But there will be no restriction on the number of attempts a person can take for acquiring a TET Certificate. 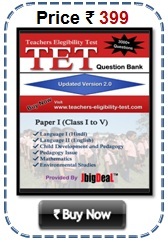 A person who has qualified TET may also appear again for improving his/her score. 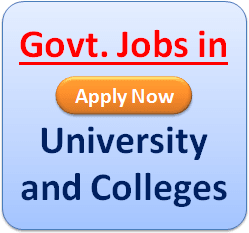 Hello friends I am Diploma Engineer , after after 10th class i completed my three years engineering diploma from push polytechnic institute ,Diploma is considered equivalent to 10+2 for TET exam ? Kindly guide me . Let us know the date for TET 2 Exam date. Sir please inform me when meghalaya TET exam will held and where..